Most of our home is not visible to the public especially the bedrooms, bathrooms, study room, kitchen, and store etc. But one area that is primarily designed for visitors and guests is the living room. A living room is a room that is used for relaxing and much socializing. Decorating your living room need not require a heavy budget, you can do it in the low budget also. 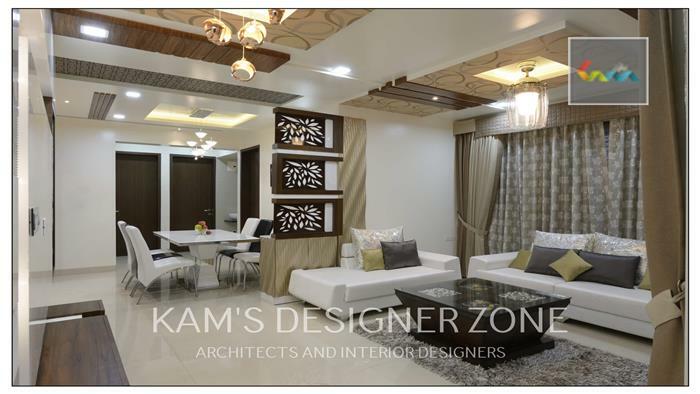 For designing your home, an interior designer is the best option. A comfortable sofa set and a pair of coffee tables must be in living room. The coffee table can be arranged in front of seats for the comfort of placing a glass, snacks tray, newspaper or book for guests. Also, you can place a bookshelf in the living room which is beneficial for guests to read the books & they can spend their time easily. You want to keep a television in the living room then you need a small table or wall mount for holding media box. For placing showpiece you can add corners, center table, Wall Mountains or shelves. It has less importance compared to others, but it plays a big role in creating an ambiance of the room. You can use a different type of lights in the same room & also place on the different level. Ceiling lights, wall mounted fixtures; Lamps are some options for you. They give a warm feel to the living room. Recessed lighting can give an intimate and classy otherwise looking simple room. Accent lighting can be used to highlight certain objects that you intend should be the focal point of living room. Creative use of lights can give a new and artistic look to your living room. There is no limitation of showpieces, artifacts placed in the living room to make it more bright, happy and classy. Picking up interesting pieces while traveling, from home stores, online stores & gather all display it for guests in the living room. Be intelligent & selective while placing any decorative items. If you have small space then decorates it with small showpieces. Show piece gives the final touch to your living room& give a bright and cheerful look.